A stoned loner notices peculiar inconsistencies on TV adverts at 4am. A bushy-eyebrowed executive plots his excuses before the local constabulary show up at his office. A paranoid ex-junkie takes offence at the most innocent of comments. 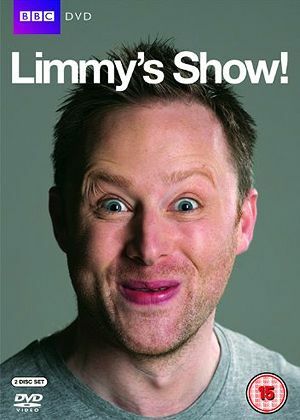 Welcome to the often warped world of Limmy’s Show!, the series which at long last brought some sense of credibility to the BBC Scotland comedy roster. Having established himself as a creator of jaunty characters in his World of Glasgow podcasts, Brian ‘Limmy’ Limond was given the chance to fulfil a lifelong ambition of being on the box and as well as hoisting the likes of Jacqueline McCafferty, Falconhoof and Dee Dee into our psyches, we also get a bunch of things which irk Limmy, Larry David-style: low-slung jeans, the ‘Twenty’s Plenty’ roadsign and the Americanisation of our pedestrian precincts, sorry, shopping centres. The abundant extras include the splendid pilot episode, many of the online sketches which helped get him this far and his own heavily-detailed and amusing on-screen commentary.